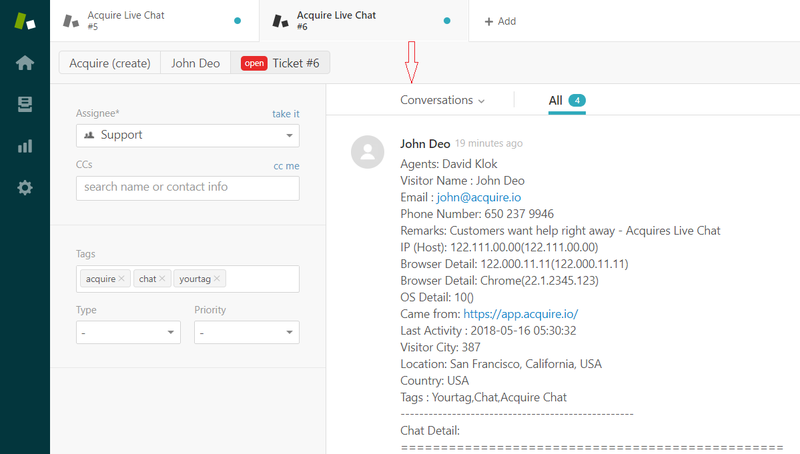 Improve customer relationship by Integrating Zendesk with Acquire to create tickets directly from chat. 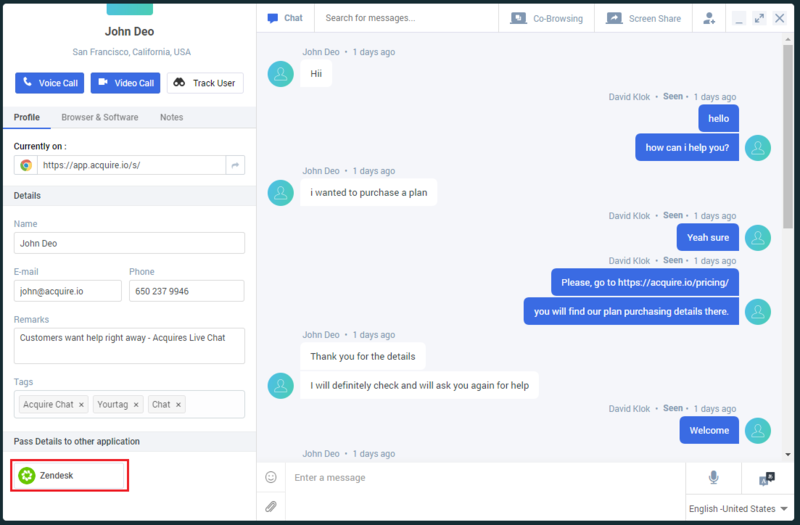 Create tickets on-the-fly during chats with customers to keep a steady flow of communication from your chat to your help desk.- Real-time visitor monitoring. Send chat transcripts or notes for a lead directly from the chat panel to the CRM. Effortless to integrate by just entering your Zendesk account information in and it`s ready to go. This process of integrating your Zendesk account with the Acquire. You will be able to create new tickets directly from Acquire. 1. 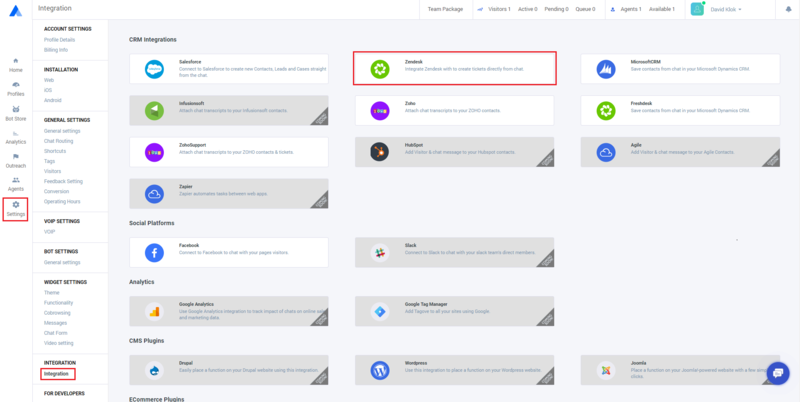 In the Acquire panel https://app.acquire.io/, go to Settings > Integrations and click on the to configure with zendesk. 3. After you log in, click on the settings icon at the bottom-left corner of the panel and proceed to the Channels > API section. Make sure that the Token Access section is enabled, then click on Add new token, create its name, and generate it. Copy the token and paste it somewhere secure. 1. Return to https://app.acquire.io/ and go to the Zendesk in the Integrations section. Provide your email address, Zendesk subdomain, and the API key from above into the configuration settings. 2. Click on the connect button to configure. 1. 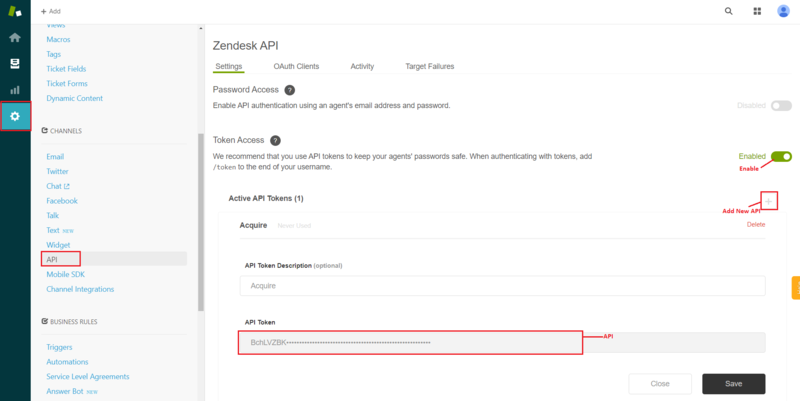 Create tickets in Zendesk directly from https://app.acquire.io/, click on synchronize zendesk Integration button during a chat. That’s it! Your chat is now fully integrated with Zendesk!